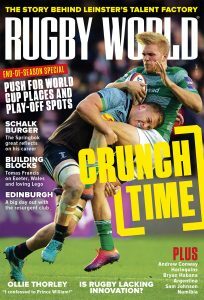 Stunning attacking rugby lit up the Aviva Premiership and Guinness Pro12 semi-finals - but there were a few howlers too. It’s not a bad success rate is it? Seven tries from eight visits to the opposition 22 in one match. Such was the pure brilliance of Bath’s attacking rugby against Leicester on Saturday, in what should have been the stifling, pressure-cooker atmosphere of the Aviva Premiership semi-final. Bath showed absolutely no sign of nerves or tension and simply ran their visitors ragged (though surely tough words will be spoken in training about that one wasted trip to the 22 – not!). Leicester had all the possession and territory for a long period of the second half, when Bath were 21-10 up, but Bath absorbed and absorbed, then cut loose with four tries in the last 16 minutes to win 47-10. Special mentions go to two players – Man of the Match Matt Banahan for becoming the first player to score a hat-trick in a Premiership semi-final, and Peter Stringer for crossing for Bath’s fourth try in his last game at the Recreation Ground before he moves to Sale. The 37-year-old had a dozen seasons of success with Munster in the Pro12, but when they thought his time was up in 2012 he begged to differ and crossed the water to England, where he has had short stints with Saracens and Newcastle Falcons, before signing for Bath in 2013. Stringer has since made 33 Premiership appearances for them and, although he will never get the two Ireland caps he needs to take him to 100, he is going to keep playing club rugby as long as he possibly can because he just loves it. And while he is good enough to keep up with a set of backs as magnificent as Bath’s and score a try in such a massive match, who would dare to suggest he is past his sell-by date? Not me, and not Steve Diamond, that’s for sure. 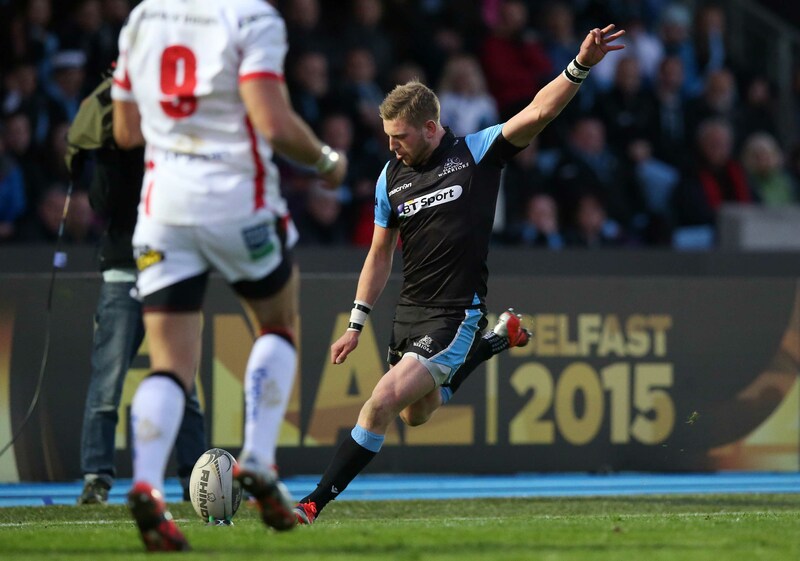 Glasgow trailed 14-9 to Ulster as the last five minutes of their Guinness Pro12 semi-final began on Friday and looked like they may become the first home side to lose at that stage of the competition. Then two moments of magic from the Warriors’ Scotland fly-half Finn Russell turned the game on its head and snatched a 16-14 win for his side. As Glasgow attacked inside the Ulster half, trying to breach their defence for the first time, Russell stooped to gather a low ball, regained his balance in an instant and sent a superb long pass off his left hand which found DTH van der Merwe sprinting up on the right wing. The Canadian forced his way over the line, but that left Russell with a conversion from just one metre inside the touchline – a conversion he needed to kick to give Glasgow the lead. Russell composed himself, managed to block out the enormity of the moment, and sent the kick soaring through to posts to put the Warriors 16-14 up with four minutes to play. Munster’s back-row duo of openside Paddy Butler and Man of the Match CJ Stander were outstanding in the Irish province’s 21-18 Guinness Pro12 semi-final win over the Ospreys. No 8 Stander caught the eye with his 21 carries which took him 76 metres, and he also made nine tackles – one of which was a joint effort with Conor Murray to stop Eli Walker scoring in the corner after five minutes. Stander and Butler combined beautifully in attack to capitalise on Ian Keatley’s break just before half time and set up a try for Simon Zebo which gave Munster an 11-3 lead at the break and Butler scored a try of his own after 49 minutes, finishing off a great team move which was started by a dynamic run from Stander. Jeff Hassler scored one of the best individual tries of the weekend – a try which brought the Ospreys back into the game at 21-15 down and gave their fans hope of victory. He picked up a grubber kick from Zebo on around half-way and sprinted untouched through the defence with the Munster wing in pursuit. Zebo managed to haul him down just as he reached the line, but Hassler had the power and momentum to make it over the whitewash and score. Saracens’ Aviva Premiership semi-final win over Northampton did not have the same free-scoring feel as Bath’s triumph, but there was a moment of magic early on from Duncan Taylor which lit up the occasion. The centre flicked a ball between his legs to David Strettle in Saracens’ own half, then when Strettle put a trademark kick up the right wing, it was Taylor who led the pursuit. Northampton scrum-half Lee Dickson and Taylor caught up with the bobbling ball together, but Taylor cleverly dived over the top of Dickson to snaffle it and pop it up for none other than Strettle, who strolled over the line for the first try of a game which Saracens went on to win 29-24. England Women earned qualification for the Rio Olympics on behalf of Team GB when they scraped a nail-biting 15-14 win over the USA in the third-fourth play-off at the Amsterdam Sevens. They needed to secure fourth spot in the series standings and when they lost 26-0 to Australia in the semi-finals and the USA lost to Canada, it set up a winner-takes-all match to determine who would get the coveted Olympic spot. Tries by Marlie Packer, Emily Scarratt and Jo Watmore were enough for England to sneak the win and it put England ahead of the USA on points difference in the table. Pop legends Madness are playing Kingsholm next Saturday, but they will have their work cut out to serve up a nuttier couple of hours of entertainment than Gloucester and Connacht did in Sunday’s European Champions Cup qualifying match. 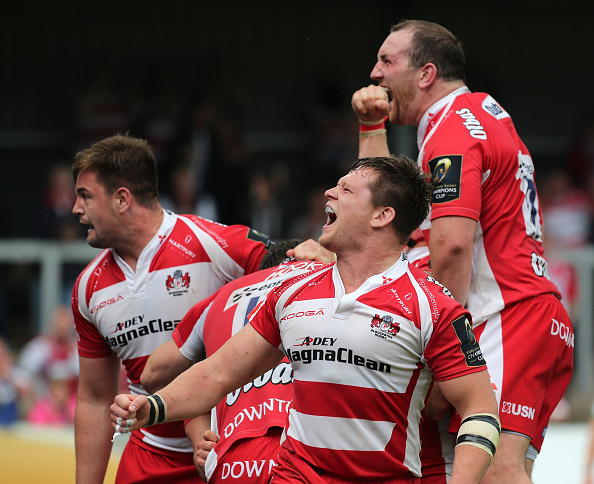 Gloucester won 40-32 after extra time, but huge credit goes to every player from both teams for their endeavour and unquenchable desire to win. It was an error-strewn contest, but there was enough good rugby to still allow the match to qualify as a classic. Jack Carty, James Hook, Matt Healy and finally the irrepressible Jonny May were all involved in moments of sheer brilliance. Take a look at the highlights here. Niko Matawalu is a player who has flashes of pure brilliance, followed by moments of madness, and he blotted his copybook on Friday evening when his play-acting bought a penalty for Glasgow which changed the momentum of the game and ultimately set up their winning score. Matawalu was high-tackled off the ball by Ulster tighthead Ricky Lutton in the 71st minute, when the Irish province led 14-9 and were pressing inside the Glasgow half. Lutton was foolish to hook a hand around the wing’s head as he charged off after the whistle had already sounded for a scrum, but Matawalu fell to the floor dramatically, milking the incident for all he was worth. The officials looked at the TV replays and decided it did warrant a penalty, and four minutes later Glasgow scored the winning try. 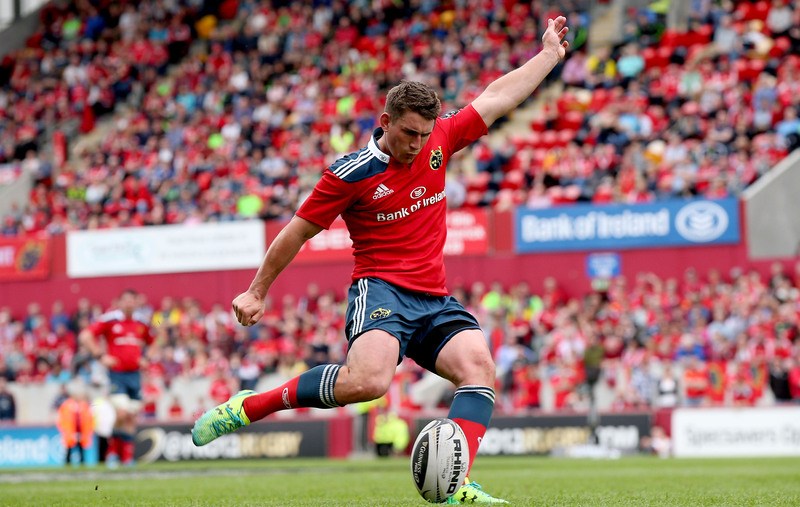 Ian Keatley must have been might relieved that Munster managed to win their semi-final against the Ospreys as the outside-half had endured a shocking afternoon with the boot at Thomond Park. He landed just two of his seven kicks at goal, letting 12 points go begging, and was taken off after his last penalty miss when Munster were leading 21-18 with seven minutes to play. Coach Anthony Foley decided JJ Hanrahan might be a better bet if another penalty came their way, but the replacement also missed a kick at goal from straight on. Luckily for Keatley and Hanrahan, the misses did not prove costly. It is unusual for a player to be among the Saints and the Sinners, but CJ Stander is, because of a howler early in the second half of Munster’s semi-final. 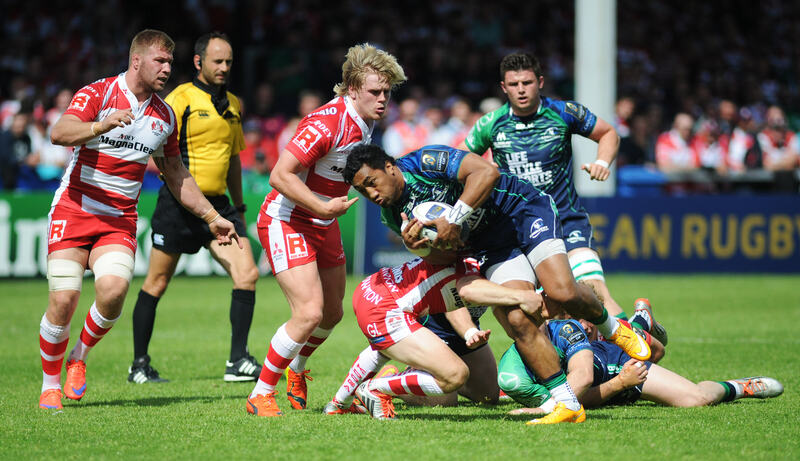 The men in red were 16-3 up with 46 minutes on the clock and had a scrum close to half-way. When the ball was at Stander’s feet at the back, replacement scrum-half Duncan Williams moved round to the openside, suggesting an attack would be launched in that direction. However, Ospreys No 9 Rhys Webb wasn’t convinced and stayed on the blindside, so when Stander flicked the ball out that way, expecting Simon Zebo to capitalise, it went straight to Webb who sprinted in for a try. It was a dreadful error from Stander, as he didn’t look before making the pass. 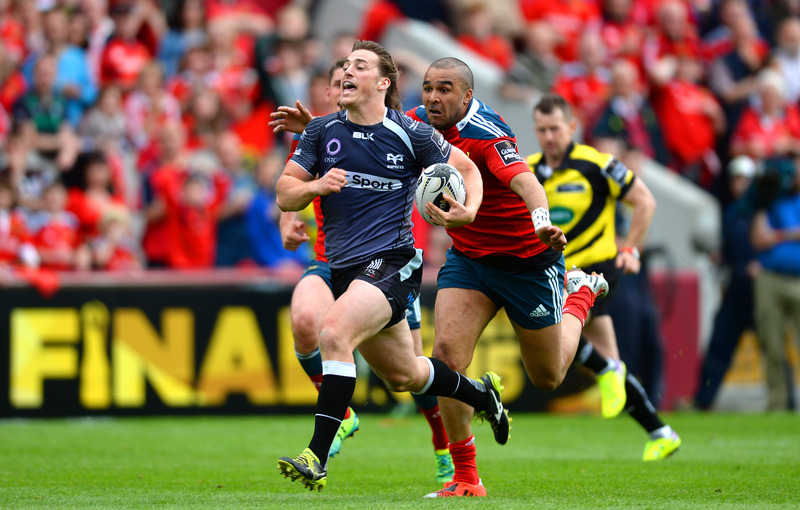 It brought the Ospreys back into the game at 16-8 but did not cost Munster the match. As scintillating as the Gloucester v Connacht match was, it is a sad fact that a penalty decision by referee Romain Poite cost the Irish province the chance to possibly seal the win in normal time. As the last five minutes began, Connacht were 25-18 up and John Muldoon drove up the left and was tackled by Tom Palmer. The Gloucester lock rolled out towards the side of the ruck, but was still in a position where he was hampering the supporting Connacht players, but Poite penalised Muldoon for holding on, and from the subsequent pressure Billy Meakes scored the try to take the game into extra time. On BT Sport Ben Kay said Palmer had conceded “a cast iron penalty” and Conor O’Shea labelled it a “disgraceful decision”. Connacht will feel hard done by, but Gloucester also felt they were on the rough end of Poite’s whistle a couple of times. Any player who thinks they made a bad mistake this weekend might take comfort from watching James O’Connor’s miss-kick for the Queensland Reds, which gifted a crucial try to the Sharks, who won 21-14 in Brisbane. O’Connor was trying to clear his lines and Sharks scrum-half Stefan Ungerer started to run up for a charge-down, but half pulled up, clutching his leg, after just a couple of strides. However, O’Connor miss-hit his kick so badly, that it landed right in the chest of the startled No 9 and he just had to hobble a couple of steps and dive over for the most unlikely try. O’Connor’s team-mates were quick to console him, but it was a shocking error. Take a look here.